How can distant starlight reach us in just 6,000 years? The following question was received from JD in response to one of the World by Design presentations in Australia recently, after I had earlier answered orally on the Hobart part of the World By Design tour. The above Scripture reference summarizes the essential trustworthiness of God. In view of this, if the entire universe (and not just the earth) was created approximately 6,000 years ago, how do you understand such events as, for example, supernova 1987A, in which a star exploded at a distance of approximately 170,000 light years from the solar system? The astronomical distance scale is of course not absolute, but there is little basis for believing it to be overestimated by a factor of about 30 at such a relatively close distance. Other astronomical observations appear to represent vastly more distant objects, seen therefore at a much earlier epoch. To suggest that the entire observable universe was created with a history of events (that never actually occurred) seems to be inconsistent with the character of the God described in the Bible. The above Scripture reference summarizes the essential trustworthiness of God. Indeed, and it is God’s trustworthiness that provided the basis for the study and development of science in the first place and is why science developed in cultures that held a Judeo-Christian worldview (See the first chapter of Refuting Evolution by J Sarfati). Also, God’s trustworthiness provides the basis for our understanding of the perspicuity of Scripture, that is, the belief that it was written to be understood and that God would not deceive or mislead us. The plain meaning of the opening chapters of Genesis can, therefore, be taken as an historical account of what actually happened during the Creation Week, the Fall, the Flood and the dispersion at the Tower of Babel. Of course, it doesn’t follow that statements made by fallible people based on their observations of the physical world are necessarily valid or trustworthy. In view of this, if the entire universe (and not just the earth) was created approximately 6,000 years ago, how do you understand such events as, for example, supernova 1987A, in which a star exploded at a distance of approximately 170,000 light years from the solar system? The supernova 1987A was observed in 1987 (hence its name) and is generally accepted as being 170,000 light years away (See also this article which includes a section on supernova 1987A). On the surface, it would appear that the light has been travelling for 170,000 years which is not consistent with a 6,000 year old universe. But the question is, by which clocks is the time being measured? 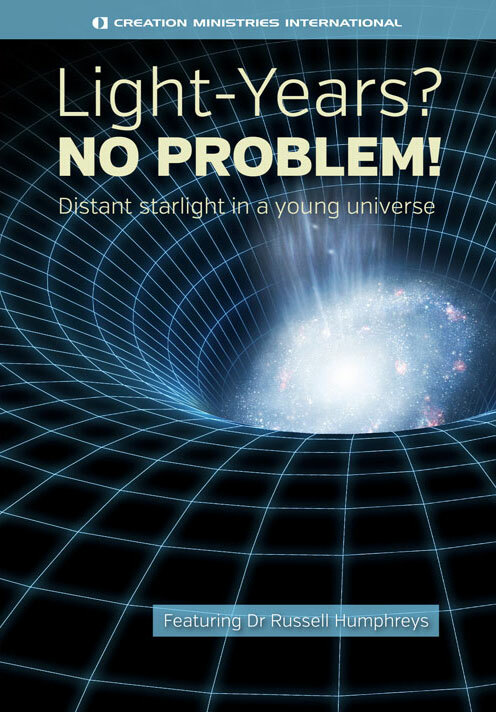 This “horizon problem” is a big headache for cosmologists, so big that they have come up with some pretty wild solutions. “Inflation”, for example. You can solve the horizon problem by having the universe expand ultra-fast for a time, just after the big bang, blowing up by a factor of 1050 in 10–33 seconds. But is that just wishful thinking? Other big bangers have tried to cure this headache by proposing that the speed of light was much faster in the past, e.g. João Magueijo and John Barrow. Yet when some creationists proposed something similar a few decades ago, it was a heresy! I.e. 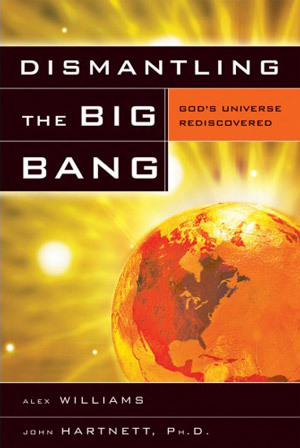 anything goes when it comes to rescuing the big bang dogma, but rescuing Genesis by exactly the same means is verboten. However, the observations of uniformity in the cosmic background radiation, which defy plausible evolutionary explanations, are consistent with a single Creator of space and time who holds the universe together (Colossians 1:17). 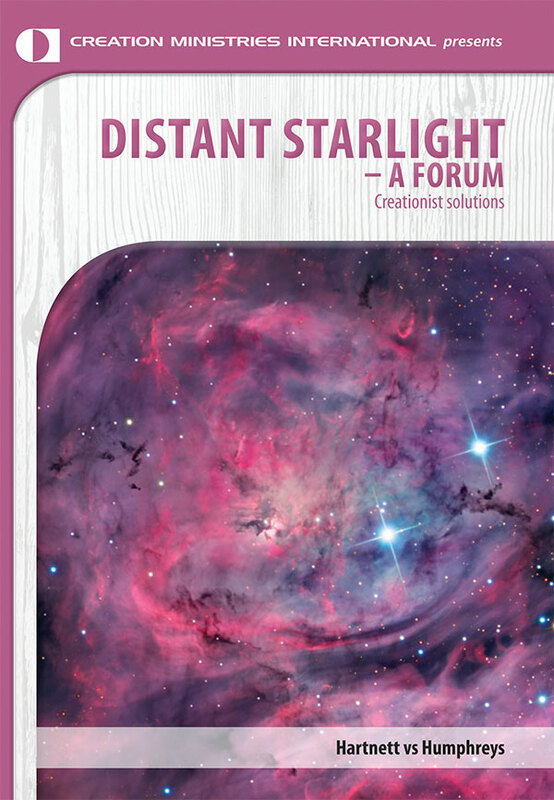 Recent developments in creationist cosmology offer an elegant explanation of the distant starlight question which is consistent with the Genesis account of creation and is based on recent astronomical observations and Einstein’s General Relativity equations. 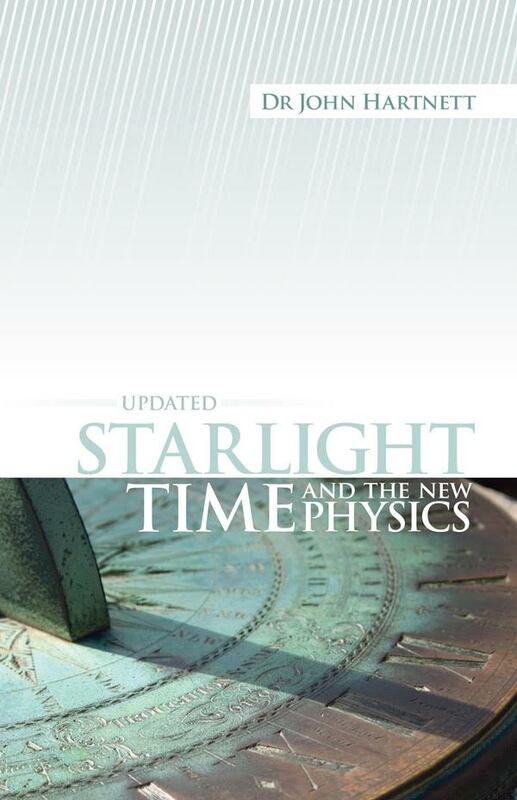 Whilst a detailed explanation of this new cosmology is beyond the scope of this Feedback article, it is explained more fully in the book Starlight, Time and the New Physics by John Hartnett. Hartnett’s explanation is an extrapolation from General Relativity, based on the expansion of the universe and 5D (space-time-velocity) Cosmological General Relativity as developed by Carmeli. One of the powerful confirming aspects of this cosmology is that the highly speculative big bang concepts of dark matter and dark energy are not required to explain the observations made in the far reaches of the cosmos—see Has dark matter really been proven? Another model, also based on General Relativity, developed by Russell Humphreys explores gravitational time dilation and is explained in his DVD called Light-Years? No Problem! This article attempts to provide a framework for understanding the answer to the distant starlight question. The key elements are time dilation, the recent observations showing that we live in a galacto-centric universe and the Scriptural references to God ‘stretching out the heavens’ on Day 4 of the Creation Week. An experimentally verified prediction of Einstein’s General Relativity Theory is a phenomenon called gravitational time dilation. It has long been established that gravity affects the rate at which time flows in any particular location in the universe. A graphic example of this phenomenon is the GPS satellite navigation system which is becoming a standard feature in many motor vehicles today. It has long been established that gravity affects the rate at which time flows in any particular location in the universe. A graphic example of this phenomenon is the GPS satellite navigation system which is becoming a standard feature in many motor vehicles today. One’s position is determined by comparing the time taken for signals from a number of the satellites, which are visible at any one time, to reach the receiver so very high precision timing is needed. The constellation of satellites orbits the earth at an altitude of about 20,000km. At this height, the atomic clocks on board the satellites run faster than the same clocks on earth by 42 microseconds per day. The satellites are travelling at around 12,000 km per hour which produces an opposing relativistic effect of slowing the clocks down by about 5 microseconds per day. The combined effect is that the clocks on the GPS satellites run 38 microseconds per day faster than equivalent earth-bound clocks. Why does this matter? If this time difference was ignored and no compensation made, the position errors would build up at a rate of about 400m per hour which would render the system completely useless! Another mechanism for time dilation is rapid acceleration of the fabric of space in an expanding universe. This is explained more fully in Hartnett’s book referenced above. When Edwin Hubble discovered the redshift in the spectra of stars and galaxies and interpreted them as distance (known as the Hubble Law), he was horrified at the implication that the Earth could be in a special place. Recent surveys3,4 have measured the galactic redshift for around 250,000 galaxies and have revealed an over abundance of galaxies at certain redshifts in which the data departs from the expected theoretical distribution in a series of large spikes. A straightforward interpretation of this data is that the galaxies are distributed with a spherical shell-like symmetry with the Milky Way galaxy at or near the centre! Such a result is entirely consistent with the biblical picture but is at odds with standard big bang beliefs and is not consistent with the Cosmological Principle. In at least 11 places, the Scriptures speak of God ‘stretching out the heavens’ (e.g. Job 9:8, Isaiah 40:22 and 42:5, Jeremiah 10:12, Zechariah 12:1) and in Genesis 1:15 the words ‘And it was so.’ are recorded in connection with the events of Day 4 of Creation Week, implying the completion of the events described on that Day. It is a reasonable conclusion to draw that God stretched out the heavens to the vast extent of the observable universe in just one 24 hour day and then ceased the action of ‘stretching out’. This is more rational than the inflation fudge of big bangers discussed above. That is, where the universe just happened to expand much faster than light, although there is no known physical cause for starting or stopping this superluminal expansion. We should also note that God created the Earth first before the sun, moon and stars (and by inference the planets etc) so it would seem reasonable to assume the universe was stretched out with the Earth at or very near its centre. Furthermore, Psalm 147:4 and Isaiah 40:26 imply that there is a finite number of stars in the universe. So, the Bible seems to teach that we live in a finite universe that has, at the very least, our Milky Way galaxy at its centre. 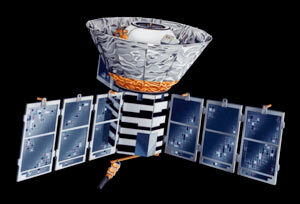 Artist’s impression of the COBE satellite. We now have the keys to understanding how starlight can reach us from such vast distances in just a few thousand years of Earth time. The days of the Creation Week were recorded from the point of view of an observer on the earth so the time reference in Genesis is Earth time. On Day 4, as God commenced stretching out the heavens, the mass of the universe (presumably including the ‘waters above’ which were separated out on Day 2) would have been confined to a much smaller volume of space than is the case today. Assuming the Hartnett–Carmeli theory is correct, the Universe rapidly expanded with massive time dilation as a result of very rapid acceleration of the fabric of space on Day 4. The Humphreys model5 on the other hand, also based on General Relativity, has clocks at the outer edge of the cosmos running much faster than earth-bound clocks because of gravitational time dilation. By the end of Day 4, when God completed his work of creating the sun, moon and stars, and had stretched out the heavens to their vast extent, billions of years of cosmic time could have elapsed at the outer edges of the cosmos in just one 24 hour earth day. There would have been more than enough time for the light from distant stars to have reached the earth so that when Adam gazed at the night sky on that sixth night he would have seen much the same as what we see today. 6,000 years have passed since the Creation Week. If the models outlined above are correct, the light we see today from any star that is greater than 6,000 light years away from the earth will have originated on Day 4 itself. 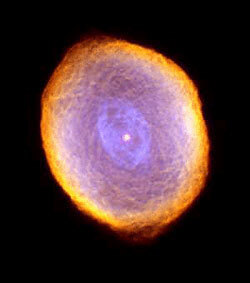 This would include most of the visible stars, all of which are part of the Milky Way galaxy. We are effectively looking at God’s creative activity on Day 4 as we gaze into the universe! 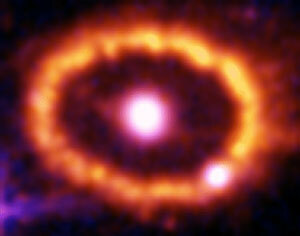 So what do we make of supernova 1987A? At 170,000 light years away we are looking at an event that occurred on Day 4 but whose light did not reach us until 1987. 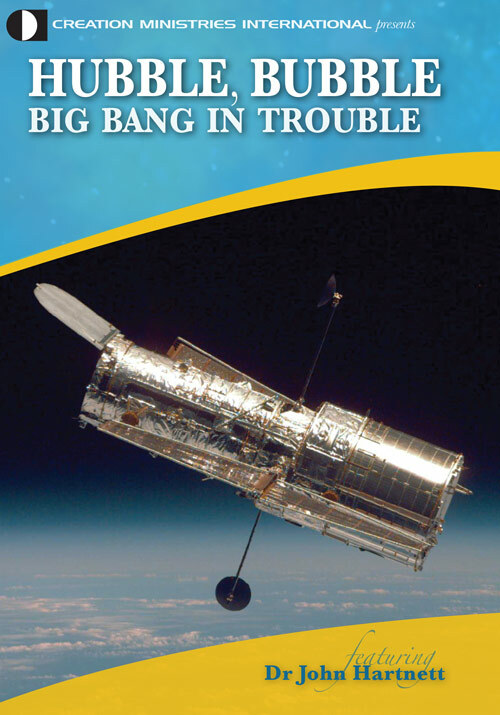 Hubble, E.P., The Observational Approach to Cosmology The Clarendon Press, Oxford, UK, pp. 50–59, 1937. Return to text. Assis, A.K.T., Neves, M.C.D. and Soares, D.S.L., Hubble’s Cosmology: from a finite expanding universe to a static endless universe, Second Crisis in Cosmology Conference, 7–11 September 2008 | arxiv.org/abs/0806.4481v1, 27 June 2008. Return to text. Two Degree Field Galactic Redshift Survey. Return to text. Sloane Digital Sky Survey. Return to text. Humphreys, D.R., New time dilation helps creation cosmology, Journal of Creation 22(3):84–92, 2008. Return to text. See Sarfati, J,. The Fall: a cosmic catastrophe: Hugh Ross s blunders on plant death in the Bible, Journal of Creation 19(3):60–64, 2005. Return to text.